In this post, we will explore what is a cutthroat pool, how to play cutthroat pool and some common scenarios to understand what to do. The game of pool is usually played with 2 players or 4 players in doubles. To play the game at least 3 players are required. All 15 balls are placed on the table and divided into three groups. So 5 balls belong to each player and the goal is to keep your ball safe and pot the opponents’ balls. The player whose all balls are potted is eliminated from the game and the player who has his own group of balls only remaining on the table is the winner of the game. WHY IS CUTTHROAT POOL CALLED CUT THROAT? The name is quite cruel and called cutthroat because often during the game a player has to pot or sacrifice one of his own balls to continue the turn and pot the opponents’ balls. So the player cuts his own throat in order to remain on the table. IS THIS GAME CALLED ELIMINATION TOO? Yes, it is also sometimes referred to as elimination but it is not the right name because players eliminated from the game can return to the table if opponent scratches or does a foul. This has to be decided among the players themselves. It can be decided prior to the game or after the game has started. In case, it has to be decided after the break then the player who opens the rack and pots the first ball has the freedom to decide which ball group he would like to pick. The player who has the second turn picks from the remaining groups and third is left with no choice but to accept the group left on the table. In case there are 4, 6, 7 or some other number where it is difficult to allocate 15 balls among the players then by mutual consent extra balls can be removed or added to create equal groups among the players. 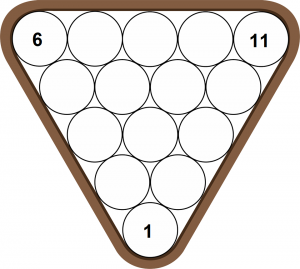 In the case of three players, ball numbered 1 is placed on foot spot or on the head of the rack, ball number 6 and 11 are placed on the remaining corners of the triangles. The player who has the first shot is obligated to either play an open break or pot at least one ball with the break. In case, the first player fails to do a legal break the turn gets transferred onto the second player who has the option to either take the shot from an open break or ask for a new rack. This is not a foul. The turn will remain with the player and he can resume the turn trying to pot the opponent balls. In case a player scratches and opponents return onto the game then the same turn pattern would be followed as it was at the beginning of the game. 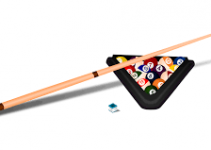 In the case of a scratch, the player who committed the foul will not only lose the turn but also one ball each of the opponents would be placed backed on the table if they were potted. In a case, where no ball was potted the penalty of the foul would not be carried on. 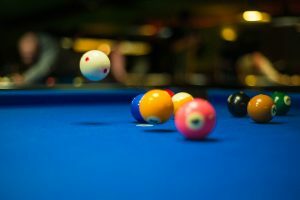 However, while playing cutthroat pool on coin based pool table where you cannot spot the balls because they are locked, in such a case, the player who commits the foul one of his ball would be pocketed. This selection is done by the foul committing player himself. This would be a foul and illegal shot. The foul committing player ball will remain pocketed and the turn would be passed on to the next player. CAN A PLAYER WHOSE ALL BALLS ARE POCKETED CAN RETURN? Yes, in case of a scratch, one ball each of the opponents will be placed back on the table. In this case, the player who was eliminated returns back to the game and his turn number would be the same as before. So no one loses the game until there is the last ball remaining on the table belonging to some player. The turn sequence for the next game depends on the result of the previous. The one who gets eliminated racks the next break while the winner becomes the breaker and runner up gets the second turn. This results in shuffling of the groups assigned for the new game. CAN SOMEONE TOUCH THEIR OWN GROUP BALL? Yes, one can pocket his own group ball but the first contact must be with the opponent group balls. Failure to do so will result in a foul. 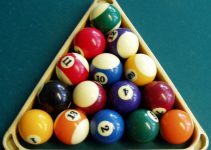 In this case foul is committed, the object ball of all the opponents will be placed back on the pool table and shot will be passed on to the next player. In this case, the opponent ball will be placed back onto the table and turn would be passed on to the next player. The player’s ball although potted illegally will remain in the pocket. This is to penalize the player for committing the foul. IN CASE OF FOUL WHERE WILL THE CUEBALL BE PLACED? If the cue ball jumped off from the table or it was scratched then the ball will be placed back on the table behind the head string. In case, the foul is committed, where the ball remains on the table then it will be played from the position where it stopped. This is considered a foul, the ball will be placed back onto the table and turn will be passed on to the next person. No, the penalty applies to one shot only. In case, a player does a scratch and all opponent balls are already on the table then opponents cannot spot their ball for this foul in next turns. The player who scratches the ball placed the opponents’ balls back on the table. Opponents cannot give the player any input on which order they would like the ball to be placed. It is up to the scratching player to place the ball what favors the most. The main objective of the game is to stay alive in the game. Often you will find your balls are very close to the pocket and you cannot pot the opponent balls. The smart thing to do is to put your own ball behind the opponent ball. This would not only make your ball safer but can also result in opponent foul because one cannot touch their own ball group on the first contact. Another tip is to convince the opponent player into not potting your own ball set, this can be done by convincing the player to pot another opponent ball as the easier shot to play. This is not a professional game, often you may find expert players with their sneaky petes ready to make a bet on this game. Always play this game with beginners or novice players otherwise you will always end up on the losing side. Decide the turn sequence, set up the rack, break the rack, pot the opponents’ ball and then win the game. This is a game popular among players who are still learning to play the game. 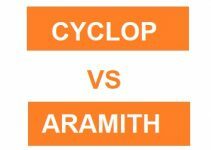 If you are a starter then I would recommend that you invest in better pool cues, because house cues are not meant to improve your game.